Kristen here! I’m not overly proud of the fact that I tried to fit all on Sonoma County into a single day, but I feel that it is my duty to tell you about one of the wineries in this region that really blew my mind. Start the morning with one of the most visually stunning vineyards in Sonoma. When I heard that Matanza Creek was not only a thriving vineyard but also a fresh lavender producer, I just HAD to see how the two industries commingled in a single estate. The love child I saw did not disappoint. The Estate is massive with rolling hills of beautiful purple lavender plants (if you visit in the spring/early summer). The aromas were far from overpowering and instead attributed the ‘freshest’ air I had breathed all trip. As you wander past the gardens, the next stop is a high end promenade area filled with lanterns, corn hole, bocce ball courts, wine bottle ring toss, wooden tables, and manicured lawn area for an old fashioned picnic. The Sav Blanc was mineral, rocky, almost volcanic with white peach notes. Acidity that cut through the creamy and rich cheese and balanced the sweet ‘pop’ of the yuzu jelly. The Chard was surprisingly crisp with green apple subtleties but still full thanks to the malolatic fermentation and french oak aging process. Hints of pineapple mix with the orange almond and brie mimic a deconstructed tropical mixed. This blend was medium to heavy in body, bright in cranberry and pomegranate flavor that stood up equally to the dense gouda cheese. Cherry jam on top gives wine a whole new layer of depth, that caramelized the cheese. Rich merlot reconstitues dried cheese yet cocoa enhances the mocha from the merlot. Red onions and figs from the jam give pairing a holiday feel of brandied chocolate fruits for xmas. Exclusive wine not for purchase on company website and not normally poured with this tasting. Sweet enough to warrant ‘dessert wine’ classification but no where near intensity of Port or Sauternes. Closer to sweet moscato but kept refreshing tang of sav blanc, gave balance to waxy white chocolate and was perfumed by the floral lavender. Finally after a relaxing patio tasting, the tasting bar inside the large main building is available along with the wine shop, lavender products room, clothing swag table, rentable conference room, and walk down the hill to the lavender barn to witness how the plant is processed into products. Please if you are ever in Sonoma, you must visit this vineyard not only for grounds but the wine and food pairing truly is something out of a dream. Don’t forget the chamomile lavender hand cream on the way out! California Wine Country is famous for proving that America could make great wine back in the 1976 Paris tasting. California shocked the world when judges decided in a blind taste test that American wine tasted better than the French contestants. Though the entire state of CA produces wine, there are two valleys that are known the world over for their wine: Napa and Sonoma. I (Kristen) got to visit the American wine mecca for the first time a few weeks ago and I’ve got some tips to help you with your next wine vacation. It’s not all beautiful hotels and glittering patio set ups. First the foremost, Napa and Sonoma are farm lands. If you’re providing your own transportation, it’s a lot of driving though endless fields with more cow sightings than people. Be prepared for winding roads, little to no street signs, and lots of food stalls selling fresh produce on the side of the road.My Tip: GPS is your best friend so bring a car charger and make sure you have a good phone provider if you are using your phone. Contrary to popular belief, don’t go hard or you will go home. Most tasting flights are at least 4 wines and drinking them quickly on top of the hot weather will get you tipsy fast. So bring water and try to pick wineries that serve food that way you can get to more than one winery a day.Pro Tip: you don’t have to finish all of the wine samples. Bring friends to help you finish. Though its frowned upon, some places will let you share a tasting if you ask. Okay so its a HUGE place, with lots to see in both valleys. Where do you start? Do some research! Look into the most popular wineries in the area and don’t forget to leave room in your schedule for when a local gives you a good recommendation. We started at 9am and finished most days at 6 – 8pm.Hotel tip: Get a hotel in the middle of one of the valleys. We got one slightly south in Sonoma valley. It takes about an hour to two hours to get to the top of the valley for exploring. We started in Yountville for a walking tour of the town. It’s an adorable town toward the bottom of the valley. The little town looks modern with new architecture, unique shopping plazas, and outdoor art displays. What’s the best part? It’s a culinary paradise with gourmet shops and restaurants everywhere. My favorite was the fabulous desserts from Kollar chocolates with their chocolate sushi and the rose wine macaroons from Bouchon Bakery. Yountville also happens to be the home of Bell Wine Cellars. Click here for my article about Bell Wine Cellars. Next we moved on to Domaine Chandon which was literally 2 driveways away for a flight of California made bubbles. The property is beautiful and great views from their picnic area that is perched on top of a hill. The valley below is breathtaking, and here you have two options: purchase a flight to taste or purchase a bottle and drink it on the hill with family and friends. Both options are fabulous and don’t forget the glittering gift shop on the way out. Haven you ever had an Italian California BBQ? The V.Sattui winery is an Italian winery with a rather large property covering in flowers, fountains, and the smell of brick oven pizza. Wait, why pizza? Because on Saturdays they do an outdoor BBQ that would put your fourth of July party to shame. It’s got pizzas, salmon fillets, fresh mozzarella salads made to order, ribs, short ribs, steak tips, and so many varieties of vegetables to put on the side. Beware because the place will be packed with peoplem, but the food is great and worth the wait. Don’t want to wait? Check out their authentic deli, pastry shop, gift shop, and oh yea the massive wine bar. Last but not least, if you really want to be dazzled visit the Tuscan inspired castle in Calistoga. Click here to read my review of the castle. It’s worth the entrance fee I promise. Stay tuned for my review on sonoma! Resting near the top of Napa Valley is a Tuscan-inspired castle called Castello Di Amorosa (Castle of Love) in Calistoga, CA. The castle – built only using materials available over 700 years ago for authenticity – is surrounded by gorgeous property with 30 acres just for grapes. If that’s not impressive enough, the wines are only sold at the winery or on the online website. The castle maintains a medieval vibe with rooms including a drinking well, church, stable, and torture chamber, as well as outdoor features such as a moat, drawbridge, and five towers. There are different options for admission. You can book a tour which gets you into the private rooms and entire secret floors for $40 dollars a person and includes a tasting in the barrel room. General admission is $25 which lets you walk around the open grounds like the great hall, chapel, stables, and many courtyards with a tasting of 5 wines in the main tasting hall. I did not pay the extra to grab a tour because the grounds I saw were stunning enough but by all mean go for it if you get the chance to visit. The other options go up from $40 which are their food and wine private tasting, cheese and wine tasting, or their deluxe tour. But what about the wine? They produce over 30 wines a year including pinot bianco, pinot grigio, sangiovese, sauvignon blanc, semillon, and many other tuscan native grapes. My tasting menu alone let me choose from over 24 wines and one non-alcoholic grape juice made from muscat grapes which was delicious. The Gioia- a sangiovese rose that was rich in berry flavor yet bright and lighter on the palate than I expected. ‘Summer porch pounder’ would be a great use for this lovely pink drink. The Dolcino – slightly sweet Gewurztraminer that was also a perfect summer wine. It had just a hint of sweetness that made it quench my thirst in the warm castle cellar. Put it on ice and pair with the sunshine. Now best for last: La Fantasia, a dark slightly sparkling rose wine that was juicy and fruity. It tasted exactly like the sweet sparklings I drank in Italy years prior. It was refreshing and perfect for any sweet wine lover with a bottle price of $30. The wines range from $23 to $98 per bottle. That may not scare some of you, but after a week in wine country it adds up fast. Luckily, there’s a discount on 12 bottles. If you ever want to feel royal and drink great wine at the same time, I highly recommend giving at least most of your day to exploring this work of art. Making their home in the beautiful town of Yountville, Bell Wine Cellars has been producing wine since 1991 specializing in grapes like Chardonnay, Merlot, Cabernet, Sav Blanc and Syrah. The vineyards in Yountville are currently growing Chardonnay and Merlot. The winemaker Anthony Bell grows the other varietals across the other appellations in Napa. I was first introduced to this winery while I was at work sampling new wines that we were debating purchasing for the shop. The Syrah blew me away with its chocolate/mocha notes and dense mouthfeel. I loved all the different layers of flavor. When I heard that our wine vendor was willing to book a tasting in CA for me, I jumped at the chance to see where my favorite Syrah was being produced. We pulled in to the cobblestone drive and were instantly greeted in drive way by one of the staff members. She checked us in and gave us a warm welcome. To my surprise, seconds behind our greeter was our new hostess carrying two glasses of California bubbles and a warm smile. Sandra Bell is the wife of winemaker Anthony Bell and she was a wealth of information about the winery. While sipping on our bubbly, Sandra took us around the winery we saw the fermentation tanks, wine barrel/aging rooms, grape picking equipment, and their beautiful vineyards. I was shocked to see that rows of vines had been ripped out due to an unexplained illness affecting the plants. When I inquired about it, Sandra mentioned that the valley has been fighting this issue for four years but they haven’t been able to identify whether it’s a plant illness or some kind of pest that is causing the vines to die. Warning: there may be a shortage in CA wines in the future until this problem can be solved so stock up now! After the vineyard tour, we started a wine tasting at the indoor tasting bar. Bell Wine Cellars offers a multitude of different tasting options including a current release tasting, a grape to glass tour, wine and cheese pairings, blending seminars, and sensory tastings. To be honest, I have no idea what tasting we did. But I know what we drank! We started with their 2015 estate Chardonnay which to me was medium bodied, with a crisp bite of acidity to start which transformed into a light caramel toast flavor at the end. I’m not normally a chardonnay person but it was a beautiful representation of California chardonnay tradition. Next was their Reserve Estate Merlot which was Anthony Bell’s best of that year. It was also medium-heavy body but it was a smooth criminal with hints of vanilla and chocolate after the ripe berry notes. It even had a slight bite after the swallow. Bell specializes in Cabernet and cloning of grapes. We tried the Cabernet Reserve which for the record is not available in MA. Their 2014 was a sunny and warm vintage which resulted in a not your average cabernet blend that was bright with berries yet layered with deeper notes of mocha and almost jammy touches. If you claim not to be a Cabernet person I would suggest ordering this bottle online or joining the wine club to taste it. Finally we ended with my favorite grape, the 2014 Syrah which is grown 4 hours away from their location in Yountville. This bottle was a step above the one I had tried previously at the shop. They used grapes specifically from Block 6 in the vineyards, and it was incredible. It was balanced, lighter tannins than I was expecting, bold yet controlled deep purple fruit flavor with little hints of cocoa. Straight up YUM. After the tasting, I got one more look around the property. It was cozy in the main tasting room with fire spires for warmth, private tasting rooms to the right, and outside were two bocce ball courts for fun in the sun. For lack of better words, it was probably the most high class winery I had ever been to. You see the how much care and hands on treatment goes into every bottle of wine. The barrel room alone holds millions of dollars of product yet the staff were so humble and happy to answer any of our questions no matter how dumb they may have sounded. Their wines range from $30 – $100 plus a bottle. However, it is money well spent. Be sure to visit this winery on your way through the valley or see if their wines are sold near you! Picture owning a large cattle ranch in central California…and one day some big wine conglomerate comes by and wants to buy patches of your land to grow grapes. Three years later, the grapes are finally ready to be turned into wine, but the conglomerate wants to leave – What luck! Buy the land back, and now you have perfectly managed wine fields that are yours for production. This is the lucky story of Ancient Peaks Winery at the Santa Margarita Ranch. Don’t worry: they are still a cattle ranch too,but now produce a line up of over 8 different wines each growing in 5 different kinds of soils. Each bottle specifies which soil the grapes were grown in the back label. Did I mention that one of their soil types in an ancient sea bed? Picture massive fossilized oyster shells popping up among the grape vines! Why is this winery a rare find? The inside scoop is that only 6 different wine shops in the whole state of MA have been presented with the Ancient Peaks wines. We don’t have any information about other states, but so far the number of places to possibly purchase this wine is limited. So stay on the lookout! If the search doesn’t prove fruitful, check out their online store to see if they ship to your state. Kristen was lucky enough to try their Merlot, Cabernet Sauvignon, and the Zinfandel. It’s a rare day where I enjoy all of the wines that I try in one sitting. This cabernet was a perfect balance of everything we love about the grape. It wasn’t overly fruity or tart, it was smooth with softer tannins with medium body weight. Showing flavors of dark berries and even very subtle hints of cocoa on the mid palate. Perfect for dinner or just stand alone drinking. Now, Merlot I am very skeptical off because normally it is not my favorite grape. But this bottle was wonderfully produced. It was velvety, rich, with black cherry and plummy notes and it included that signature mocha smell that you can expect from the grape. This bottle advertises that it was grown in the ancient sea bed, which might have something to do with its subdued quality. It’s a must for red meats or even game meats if you want to take the flavor up a notch. This has to be one of my favorite zinfandels yet. It was juicy, refreshing, quenching, and yet the fruit flavor was controlled in a way that made it enjoyable sip after sip. With bright berry notes in the front and a slight tart and pepper zing at the finish, this wine is a fun ride for your palate and I hope you get the chance to nab this bottle. Just in case giant sea shells wasn’t enough of a draw, the next time you are in CA I would recommend stopping by their site. Not only are there cows, a cafe, tasting room, and tours but they now host a 2.5 hour long zip line experience across their property! The Half Past crew (along with our friend and photographer for the day, Vicky Salch) drove up to NH to visit a modern meadery that’s bringing a vintage beverage back into fashion. We discovered Moonlight Meadery at the annual Harvest Fest in Salem, MA. Their company produces Mead (wine made from honey, not grapes) and hard ciders. Their mead line-up at the festival was impressive, but we were shocked to see how many different flavors and kinds of mead they produce when we visited their tasting room and production facility in Londonderry. Michael Fairbrother noticed his male friends enjoyed his home brews, but his female friends didn’t seem to feel the excitement. Soon after he happened upon a Cyzer (mead made with apple cider) and his life changed forever. Fairbrother finally found a drink that would unite all of his friends. In 2010, he launched the Moonlight Meadery LLC after winning Meadmaker of the Year at the New England Regional Home Brewers Competition. Now, Moonlight Meadery beverages can be found in 30 states and internationally in Australia and Japan. How does Moonlight make their brand of mead? The production facility receives honey in 3200 lb boxes that are then heated to 80°F so that the liquid honey can be pumped into fermentation tanks. The large quantity of honey is then mixed with water and yeast. Moonlight specifically uses White Wine Yeast to start the process. The fermentation is heavily regulated in large metal tanks because the chemical reaction naturally produces sulfites and heat. If the temperature gets too high, it ferments into toxic alcohol. The fermented mixture is then transferred to giant plastic tanks to age for 1 to 3 months. In these tanks, the meadery adds aromatics like cinnamon, vanilla, peppers, etc. Barrel aged meads are transferred to old beer or whiskey oak barrels instead of plastic to age. These meads can age 10+ years like their Utopian mead, which is aged for 5 years in former Samuel Adams beer casks. Next, the mead is filtered to remove dead yeast and sediment. On our tour, we discovered the meadery’s new filtering machine costs $90,000 and filters 400 gallons of mead an hour. Moonlight Meadery produces 45+ different kinds of mead, including two new apple ciders. The tasting room has 29 meads currently on the menu which are divided into 7 categories that range from dry to sweet in style. We did the Tour & Tasting option, which allowed us to taste one mead from each category after the tour. We cheated a bit and shared our samples, so we got to try 21 meads and their ‘Them Little Apples’ cider. For tasting and tour prices check out their website. 21 is obviously a lot of mead, so which ones stood out the most? Get ready for the Half-Past inside scoop! Moondance is a pyment style mead (mead made with honey and grapes) aged in oak casks for 2 years. They decided to use Riesling grapes for this dry style mead. It was crisp, floral, nutty, and light and a perfect starter mead to buy that will introduce you slowly to this wine style. Its the wine lovers mead! Meadowfoam is a traditional style mead and is the perfect representation of this ancient beverage. If you have never tried mead before or maybe never even heard of if before this post, we recommend that you try this bottle. Its made from 100% orange blossom honey, moderately sweet, and won the silver medal in 2015. Holy yum, this is their gold medal winner cyzer style mead that literally tastes like classy liquid apple pie. It’s produced with local apple cider, Madagascar-bourbon vanilla, and Vietnamese cinnamon. Why bake a pie when you can drink it? It’s a match made in heaven: blueberries and honey. This mead is made with unprocessed wildflower honey and wild grown mountain NH blueberries. Technically it’s a dry style mead but we would say that its juicy, fruity, fresh, and coats your mouth in berry flavor. Get saucy with this Latin inspired mead. It has lime and mint flavors that pair surprisingly well with honey. We know how hard wine pairing is with spicy food, but luckily Moonlight has already figured it out. So, we tasted all we could and gave you some recommendations. But you’re probably wondering which mead stole the show………drum roll please…..
We are resisting making a Tangled reference here, but this mead is spicy, sweet, fruity, rich, and smooth. We personally took home bottles after our tasting. This is a controlled, sweet heat that may not be as intimidating as you think. A sip greets you with sweet, fruity flavors, but the spice increases on the palate the longer you hold the it on your tongue. Once you swallow the heat releases, leaving no spice on the tongue as the raspberry flavor returns. It’s fun, warm, and definitely worth a try. After the tasting was over, we got an behind the scenes look at the company’s current ideas for their rebrand. They hope to do away with old full moon logo to welcome a more modern and sleek design. Here’s a comparison shot to give you the idea. Even though the mead bottles are only 375ml (half the size of a standard wine bottle), you can expect to pay anywhere between $15 and $22 per bottle. Each bottle will last 2 weeks at room temperature or 1 month in the refrigerator after opening. We highly recommend that you visit their tasting room or attend an event where Moonlight Meadery is in attendance before you buy. Even ‘dry’ style mead may still seem sweet to your average wine drinker. We hope you enjoyed our review of Moonlight Meadery. If you stop by let us know what you think! We’ll see you soon! Price of wine getting you down lately? We know your wine hobby can be expensive and vineyard visits seem more like a dream than tangible reality. So we’ve gathered some wallet saving tips for your wine lifestyle. Groupon is a great way to get tastings, bulk wine orders, wine gifts, and vineyard visits on the cheap! We personally have used this website to visit many local places for half the price. Use this for sangria at your local paint night, discounts on local event tickets, and even custom made wine bottles. Sign up now to get 20% your first groupon order. This website specializes in wine education AND wine fun. 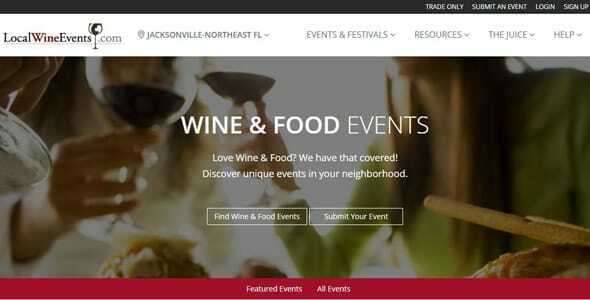 Not only does it list events and festivals near you, but it lists wine getaways in places like Europe and California. Their newsletter lets you know ASAP about early bird ticket sales and fun wine facts/trivia. This is the same website that we used to discover Wine Riot Boston; you might remember our review from a previous post. This next tip may sound lame at first, but we swear your wallet will thank you later. Join the email list or mailing account of your local packies, wine superstores, and local small wine shops. The packies and superstores often have special sales or wholesale discounts, but the smaller shops tend to host cheap and intimate wine events where you may even get to meet a winemaker and get the inside scoop. This may flood your email a bit, so maybe make an easy gmail or yahoo account for all your wine info needs (or send them all to your Promotions folder). Wine clubs are a great way to get different bottles each month without having to spend a lot of money. Some local shops may have their own clubs but many online vendors have bottles that get shipped directly to your house. 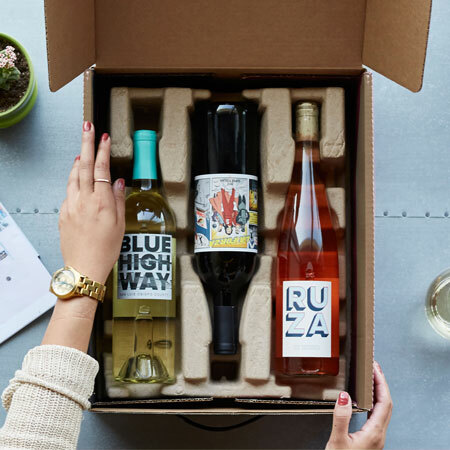 Some of the cheaper online clubs include Tasting Room, WINC, Cellars Wine Club, and for more options/reviews check out this article from Urbantastebud. For local options, look to the newsletters from option #3 to see if any stores near you offer a monthly club. Local shops would take out your shipping costs completely so we recommend checking around first. Nearly every liquor and wine shop has tasting events on the weekends so swing through quickly as you go about your day to see what they are pouring. 9 times out of 10 there’s a discount on the wines being served or even a case discount. This way you know you like the wine before you buy and you snagged a deal that day. Worse case scenario, you go home with a bottle of your favorite wine instead of what they offered you. Walking into a winery tasting room – especially one with lots of shelves – can be a bit terrifying, especially if you have a big purse or an empty, burlap wine bag in tow. You want to look at everything, so you walk around with your arms close to your sides and stand a few feet back from displays, squinting at the labels. Maybe after you taste a few wines, you’ll have the courage to pick up the glass yourself. One of the best parts of visiting local wineries is meeting and learning from the brilliant men and women who work there! They’re the experts in these particular wines, and love sharing them with others. Don’t be shy – this is your chance to ask questions and show your genuine interest in the winery’s history, production, and varietals. Most tasting rooms aren’t open past 5pm, so you have to get your day drinking on if you want to visit a winery. If you took the day off for the trip, you’ve definitely got a great start to your day! If you have work later…best of luck. We know your pain. Bonus if they share tasting notes that totally contradict yours. If you’re not from New York, Oregon or California, chances are your wineries have some fruit-based wines on their shelves. It’s a great taste of local culture and definitely a nice surprise on the pallet! Never underestimate the quirkier varietals the tasting room offers. You stand up to go back to the store and snag your favorite bottles, and suddenly the effects of your day drinking crash down on you. You try to add up the samples in your mind, counting how many glasses that comes to. But you’re sure as hell not complaining; you’re grateful for the generous pourer! If you’re anything like us, each wine tasting leaves you craving for more! Go out and support your local wineries; not only is it a delicious blast, but we promise you’ll meet fun, smart, wine lovers along the way! The Half-Past duo packed up the car with water bottles, a TJ Maxx wine bag, some Dunk’s coffee, and a GPS then headed south for a 2 hour cruise to MA vineyard, Westport River. We happened upon the enticing wines from this vineyard long ago at Wine Riot and finally made the trip to visit. We are so happy to announce that the trip was worth it! Arriving at Westport, we were greeted by spiraling fields of grass and grapevines (way to go, Mass grapes!) and a quaint yet gorgeous rustic farm. We strolled the area for a bit, enjoying the striking view from picnic tables and a dry tasting bar laid out for the winery’s special events. During our tasting we worked with the lovely, hilarious and passionate Yvonne, who made our trip absolutely perfect and worth the drive! Yvonne – who hails from a culinary background – is an expert at food/wine pairings and comes up with brilliant cocktail inventions while having fun behind the tasting bar! Thankfully, we have these recipes just for you! But first, let’s talk wine. After all, what fun are the wine cocktails if we don’t talk about their delicious, stand-alone components first? Westport’s wine list is set – you can’t pick and choose to build your tasting. It’s a $10 flat fee, and you get to try 6 of their wines. Well, we got a little spoiled – so we have plenty of wines to talk to you about! Westport Brut “RJR” Cuvee – Smells and tastes of light honey and apple with plum and brioche flavors. Used only Champagne grapes and made with painstaking traditional champagne style. The bubbles were tiny and delicate, offering a light fizz on the tongue. 2015 Cinco Caes – Named ‘five dogs’ and donning an adorable canine label, this wine tells the story of the five dogs who once lived on the vineyard. Bursting with juicy and sweet flavors, this white wine coats your whole mouth with the tastes of pears, melon, and oranges. One of the grapes in this blend is the Rkatsiteli, which is grown on the property but imported from soviet Georgia. They are 1 out of 6 vineyards in US to grow it. 2014 Semi-Sweet Riesling – With a deep yellow hue, this Riesling is unlike most you’ll find on the Northeast. The flavors develop on your palate, offering sweet grapefruit flesh without the bitter, light acidity, and hints of passion-fruit. One of our faves for its unique flavors and bold taste for the Riesling grape. Pinot Meunier – This bottle came as a big surprise for us. We spotted it on the way in and, thankfully, had the opportunity to try it. Typically used as a blending Champagne grape, it’s rare to find this varietal bottled alone. It was a true pleasure to taste this grape in all of its independent glory, light on the palate but with plenty of flavor and attitude. Reader, we bought it! Cocktails to die for – and so easy to make! Splashtail is a cocktail that mixes their famous Brut or their Farmer’s Fizz white with any of their home-grown vermouth – most popularly, the sweet vermouth. The cocktail is the best of both worlds: the light fizz of the bubbly with the thick sweetness of the vermouth. We loved it so much, we bought both the Farmer’s Fizz and a bottle of Sweet Vermouth. We cannot wait to replicate the splashtail on our upcoming trip to the White Mountains! Westporter = Grace Pinot Noir (port style wine) and their classic Brut RJR Cuvee bubbles. Yvonne said they also add a drop of bitters and orange rind normally for guests. Okay, but what is Vermouth? Is it wine? We asked the same thing. Thankfully, Yvonne was more than ready to clue us in! Vermouth is like a wine tea, with a wine base and added “grape spirits” with an herb/spice bag used during fermentation. However, even though it tastes and acts like a liqueur, it’s still technically a wine – and will spoil like one once it is oxidized. So make sure that once you open it, you’re ready to use it. We had the opportunity to try three of Westport’s vermouth bottles. Most notably, the dry and sweet vermouth. The dry vermouth had the flavor of green tea, like an herbal or grass liquor without the harsh aftertaste. On the other hand, the sweet vermouth burst with flavors of fresh berry and a hint of herb, yet had a bitter aftertaste. We snagged a bottle of the sweet vermouth after falling in love with the splashtail! We wish we lived closer to Westport! If you are nearby or have a chance to drop in, we highly recommend it. Not only are their grapes Massachusetts-grown, but they’re amazing. We hope we have a chance to visit again soon!